A Word Or Two From Gloria Steinem – 1970 – Past Daily Reference Room. 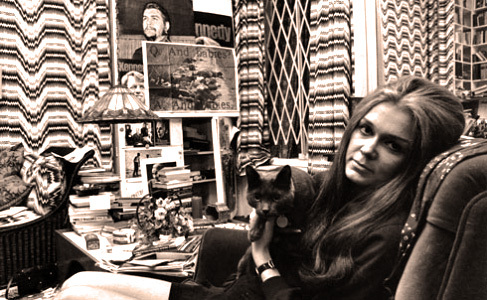 Gloria Steinem – in 1970, one of the pivotal figures in one of the greatest social upheavals of all time. Still going on. In case you forgot just how long the struggle for Womens rights has gone on in this country, I ran across this interview with Gloria Steinem, done for a local New York TV Station on October 25, 1970. At the time, “Women’s Lib” was new and mainstream media were twisting themselves in knots trying to figure out what to do over this Tsunami of change. The interviewer (who is not identified, I’m sorry to say), is still very much of the “old school” and has trouble asking questions that don’t come off as simply silly. He tries to “be on her side”, but when he asks about the future of the Midi-skirt and whether or not she’s married, you get the feeling he’s just as confused over this social upheaval as many people were at the time. But you also get the feeling Steinem knew exactly what to expect, and it’s another example why Gloria Steinem was, and still is, highly regarded and widely respected and was such an eloquent spokesperson for the Women’s Movement even from the beginning. Strangely, in the 42 years since this interview, the arguments and issues that are framing the current Presidential election seem to be almost identical to the ones then. And as far as progress goes, that’s pretty depressing. You’d think after forty-two years . . . . . . . but no. 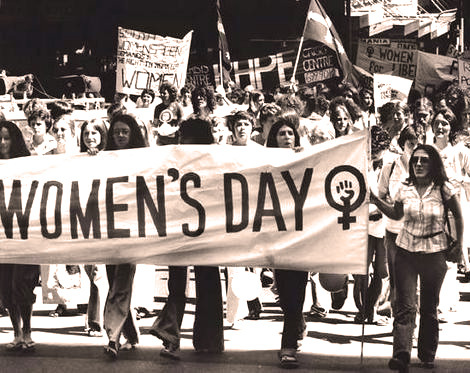 As a reminder of the protests, the struggle and the message – today marks the forty-second anniversary of Women’s Day (August 26, 1970) and the marches and demonstrations that took place world-wide on that day. Here is an excerpt of the March in New York City, as relayed by WBAI and its day-long live broadcast on August 26, 1970. It would be optimistic to look back on this period of history with a sense of the curious, and consider, with a sigh of relief how much things have changed for Women in those four decades. However, the events of the past several months seem to prove otherwise. Very little, in fact has changed.